Macklin De Silver, 24 Sep 2008 You may Set on Benq C36 Bluetoot. And also memory card 1 GB built in . also upto 8H Talk ti... moreR u crazy to set Bluetooth? The Benq company didn't set Bluetooth, How did you do that? Why if i insert video (.avi) from computer to Benq C36 do not worked. 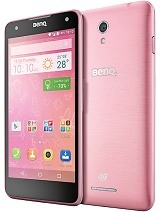 they said "Invalid video file"
Can anyone tell me whether this phone (Benq c36) supports java and how do i install opera mini or java games in thins phone? Hi, actualy I like benq products, my opinion for c36 is good but 4 things can make it unique as a economy cell phone, 1)Blue tooth option, 2)Changeble color themes, 3)Long time battery capability & 4)Stereo head phone port. 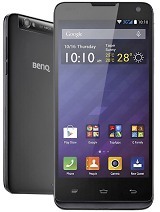 I believe if benq team include that 4 options, that economy cell phone will be best selling item for entire benq products. Thanks to all member of benq family. You may Set on Benq C36 Bluetoot. And also memory card 1 GB built in . also upto 8H Talk time. Anne, 28 Jul 2008can we use this phone as a modem for pc?can i use this phone as a GPRS/EDGE modem? im buy benq C30 phone it is very exellent phone.when i here that benq C36 is comeing then i fell very happy.if u had benq C36 bluetooth so make great phone.dial up networking benq C36 no edge.i think next time BENQ Corporation make very good phone.plz make good phone. Yes its true, I can instal java game but the game is not more than 200kb and you cant download the game at waptrick but at tgam.mobi , chose 176x220 resolution. can we use this phone as a modem for pc? can we use this phone as a modem? Herdy (sepultura) told benQ can install java game,how ? that is true ? i want explained about that. thank you. My C36 can download Opera Mini 4.1 in Bahasa Indonesia so I can browsing with this phone every time I want it and this phone can instal java game too. Benq c36 : cheap, good stereo sounds and use friendly. I own C30, it's nice.... simple and easy with the comfort control, but the camera quality it's not good. I think c 36 better than c 30, but the battery capacity maybe better if bigger than this one.. Nothing spectacular, but our cute, little C36 not only allows you to make phone calls, its also great for listening to music. Either through MP3s or its built in FM radio. Our device features a 2’’ LCD screen with a resolution of 176x220, 1.3Mpix camera, and MicroSD. There’s no 3G, EDGE, or Wi-Fi access. Well… this mobile is very simple to operate.